Despite its name, the SteelPad 5L is not made out of steel. It actually consists of five layers; in order from the top to bottom: plastic coating, cloth, soft polyisoprene, hard plastic, and rubber grips. 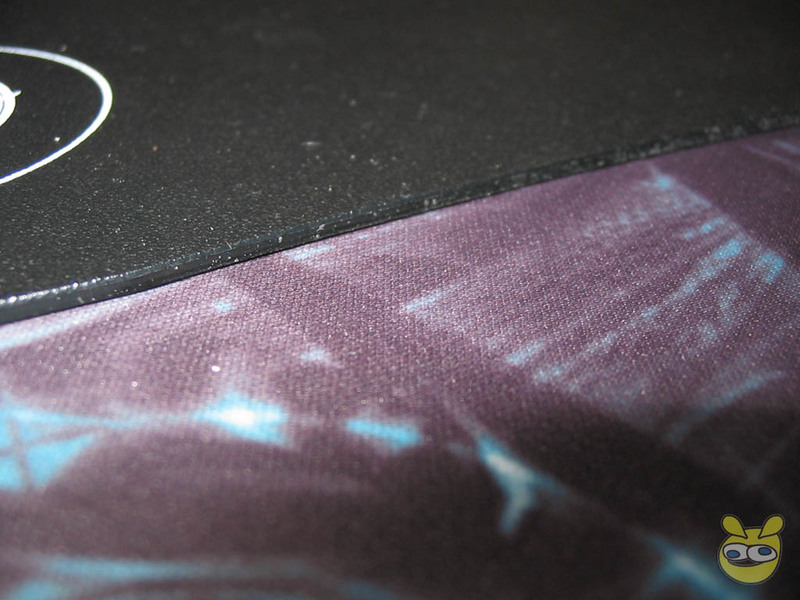 Physically, the mousepad is quite thick at almost 3 millimetres, due to its 5-layer build. The mousing surface is of a deep blue color, and has the feel and texture of a cloth pad, but with the durability of plastic, which provides for excellent cursor tracking at all times. FYI, the first layers consists of plastic coating on a cloth material, utilizing the strength and durability of plastic and the feel of quality cloth. The middle layer is composed of specially designed soft rubber foam to provide the feeling of softness. The bottom layers provide stability, as a highly durable plastic layer guarantees the shape of the pad, followed by scattered rubber elements, which lets the mat grip almost any form of desk-surface. I've tried to get the mat to move but no matter how hard I tried to push the mat it didn't move, this is a big plus since you can't have your mat moving around when gaming. - 14.9" x 11" (380mm x 280mm). - Non-slip rubber backing component. - Optimized for ball, optical, and the latest laser mice. 1. 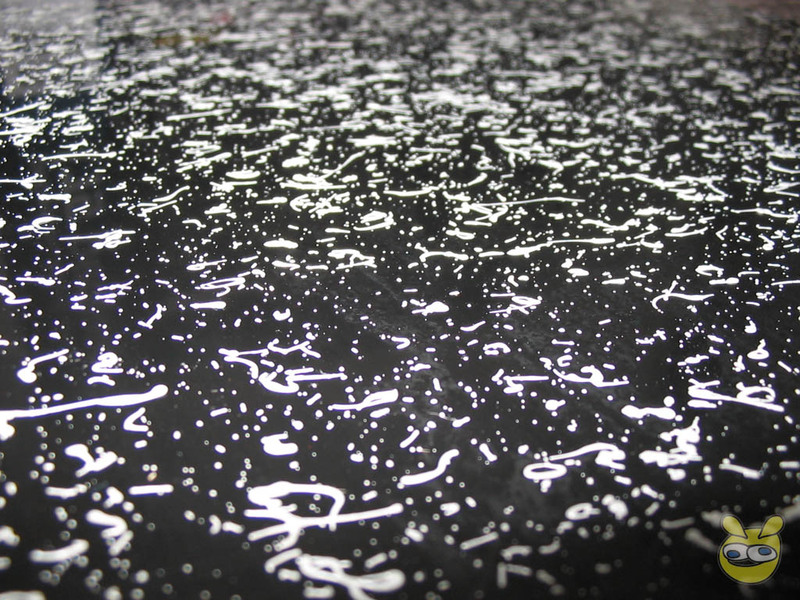 Plastic coating on the upper most part of the mat ensures durability. 2. Cloth ensures a stable and uniform gliding experience when using the mat. 3. Soft polyisoprene makes the mat feel soft, this feature ensures the user's comfort. 4. Hard plastic bottom makes the mat sturdy and helps it maintain its shape. 5. 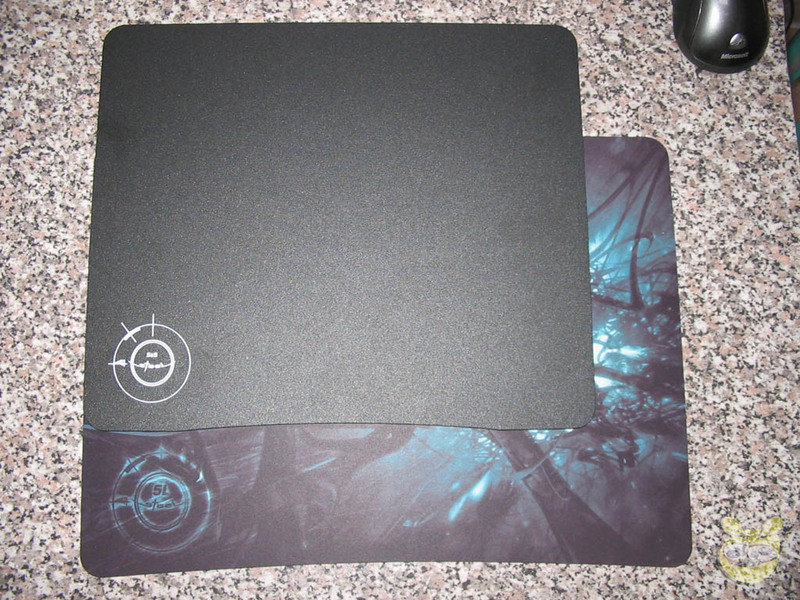 Scattered rubber elements on the bottom make it grip the desk surface so that the mat doesn't slip around when playing. 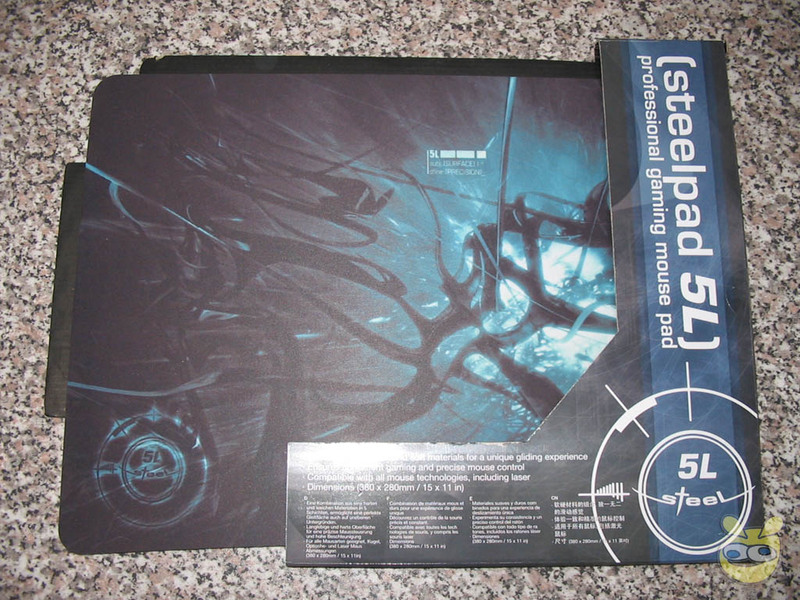 The SteelPad 5L is a pretty big pad and measures in at a nice 15x11 inches (380x280mm), and has a slight curvature at the bottom. The overall shape of the pad is very much rectangular, though the bottom edge has a slight concave curve and the four corners are rounded. The pad's large size virtually avoids the user from ever running out of space and having to go off the mousepad altogether. To put the pad through its paces I played various games , such as Dark Messiah of Might and Magic, Battlefield 2142, Titan Quest, Neverwinter Nights 2, Painkiller, etc over a period of a week. 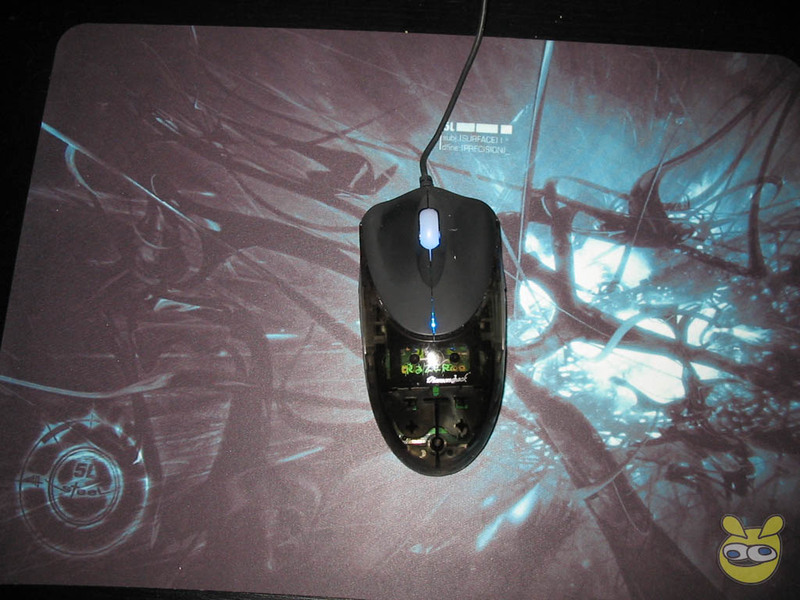 Razer Diamondback Plasma LE was the mouse used to test the pad.I must say the 5L Steelpad had me pleasantly surprised. Throughout the testing, the SteelPad 5L provided a flawlessly smooth and even surface, and barely made any noise while moving the mouse. Also, I was impressed with the precision and smoothness of the mouse movements in the games. The polytetrafluorethylen used as mouse feet on the Razer works perfectly with the surface of the mouse mat. 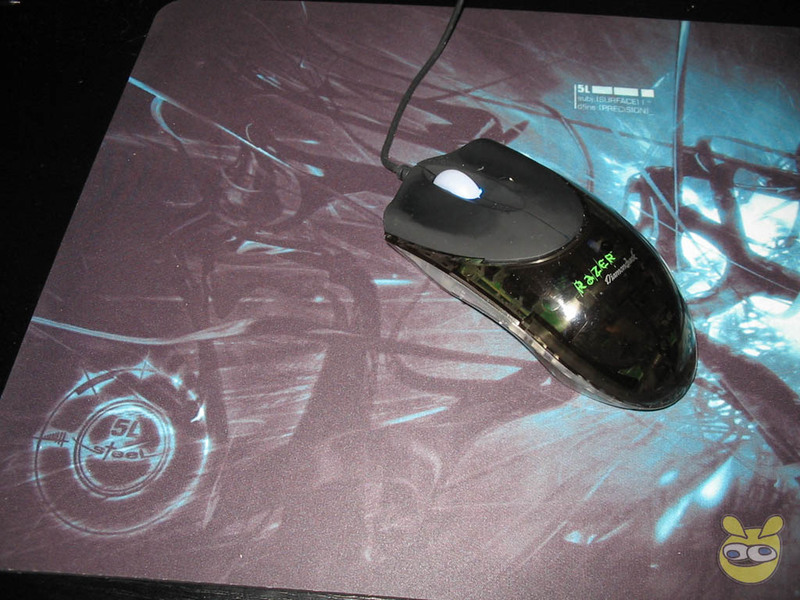 The rubber elements on the bottom of the SteelPad 5L keep the mousepad nicely in place now matter how jerky or abrupt the mouse movement may be. Note: Due to its size (and lack of a proper case), it is not really suitable for LAN parties. 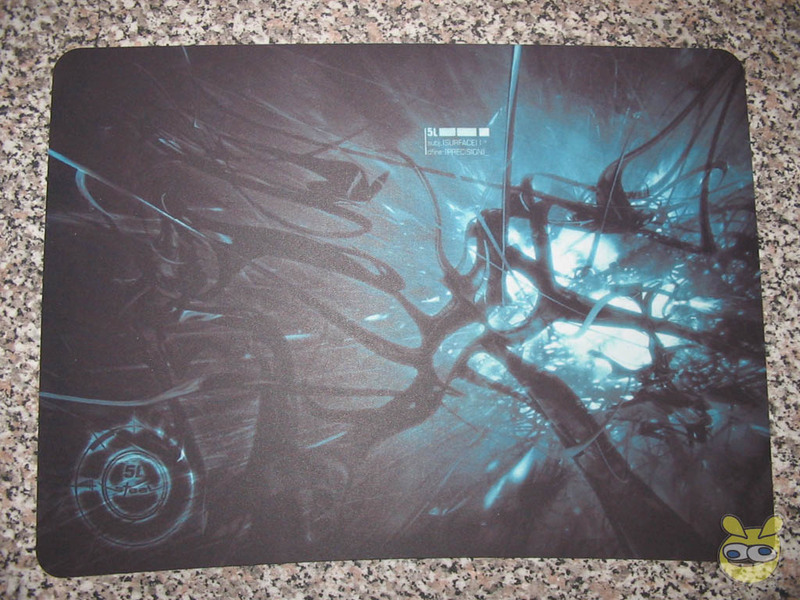 (WARNING: DO NOT BEND THIS MOUSE PAD). 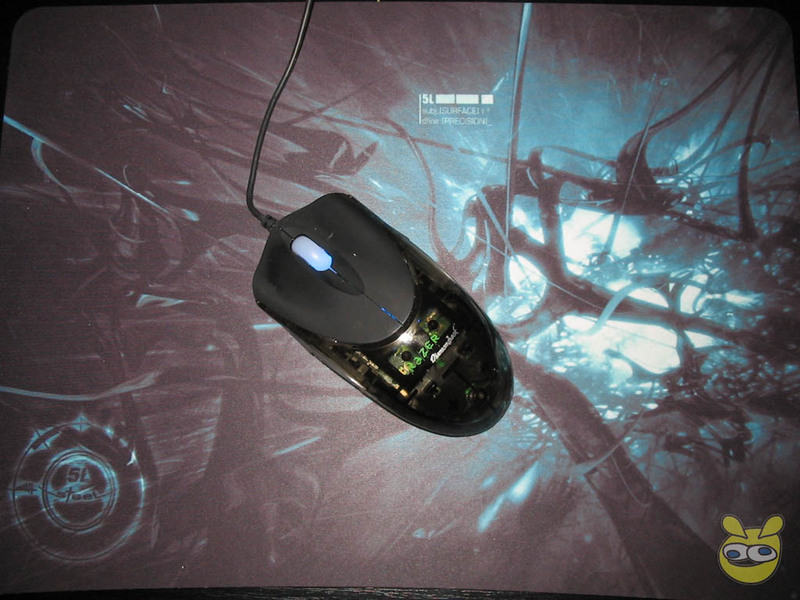 It's best suited as a permanent mouse pad for your home PC.